The conveying of language and literature has always involved technology, as far back in time as the music, masks, and performance materials that supplimented oral story telling and early drama. Of course, the printing press, books, and libraries are technologies of enormous impact that we now accept as givens for teaching English. More recently film, television, radio, and media production was the focus "technology and teaching" courses. In 2007, using computers in English classes for word processing has had more than a generation of practice and research. In the last two or three years dramatic advances in computers, in digital memory, in internet resources, in audio and visual transmission, in virtual imaging, and in wireless communication have created intiguing new possibilites for the use of technology in the teaching of English. Web publishing, digital archives, digital video, electronic conferencing, blogging, wikis, podcasting, real simple syndication feeds, on-line gaming, virtual reality worlds -- these are the potential new tools for teaching and learning English that this experimental course seeks to explore. Our approach will be to see the new technologies as evolutionary, rather than revolutionary. That is to say, the best of what we think and know about composition, literary study, and good teaching needs to be brought to bear as we utilize and develop new tools. Learning about and developing confidence with the new technologies, thinking about how to integrate them into meaningful literature, composition, and cultural studies teaching is the goal of this course. Our experimental class is project-based and attempts to address the interests and needs of the students. As an experimental class it calls for unusual flexibility, independence, dedication, and creativity. The class will be taught in a wireless laptop classroom designed for the preparation of English teachers fluent with state-of-the-art technology integration. Our class will be organized by this on-line syllabus that will also serve as an electronic, hyperlinked text book. The syllabus suggests topics, reading, assignments and projects -- these will likely evolve as we work our way into this experimental course. I have intentionally left some of the planning for the later weeks of the course open at this point. More specific grading expectations will also emerge, though it is expected that every student will complete several major projects (from websites, podcasts, virtual worlds, digital storys, etc.) along with regular class particiption (blogs, presentations, wikis, short analysis papers, etc.). Students will need to purchase an inexpensive portable hard drive (at least 30 gig) so that large files can be moved from classroom computers to open labs. My websites, including www.allenwebb.net, www.wmich.edu/TeachEnglish, and www.literaryworlds.org, provide resources and a gateway to a variety of internet resources for English teachers. Help for technology projects can be had at the IT Center (WMU teachers) and the IT Lab (WMU students). Students are invited to join the National Council of the Teachers of English or the Modern Language Association and I hope will be able to present a conference presentation for teachers at the MCTE Bright Ideas Conference, Saturday, April 14. (Proposals are due Wednesday, Feb. 28). Richardson, Will. Blogs, Wikis, Podcasts, and other Powerful Web Tools for Classrooms. Extensive study of websites and on-line resources. Daniels, Harvey. Literature Circles: Voice and Choice in Book Clubs and Reading Groups. McGann, Jerome. Radiant Textuality: Literature After the World Wide Web. Gee, James. What Video Games Have to Teach Us About Learning and Literacy. Your site should be attractive, coherent, include at least 5 linked pages, several images, and include resources and links for students. At least 10 posts over the course of the semester related to class content. Include a blogroll, links to your website and wiki, and information about you. A sample, including at least 5 pages. A sample, musical background would be great. A sample, based on a literary work, at least five rooms in Literary Worlds including images. A sample, at least 10 images, background music, narration, a special effect. Develop one or two of these projects or genres into something very special. Demonstrate thoughtfulness about the integration of technology into English teaching and learning. Use effort, care, and creativity. Wow us all! Write a 5+ page self-evaluation of your work English 5970 and propose a course grade. After introductions, we'll talk about the experimental nature of the class, possibilities for presentations, service projects, grants, the nature of good English teaching (good topic for our first blog which we will write in class), and we'll then move on to creating teaching websites. For that website you will need a unified computer account from the computer center and to register for your own website at WMU homepages. Some strategies and possibilites for making classroom websites are found at the Teach English site page on classroom websites. If possible, attend this session, visit TeachMLK.com, and post on your blog regarding teaching about MLK and the Civil Rights Movement. We'll discuss the reading and share ideas and resources for enhancing our websites and have some time to do that in class. We should start talking about archives, digital texts, hypertexting. For next week 1) read The Tech-Savvy English Classroom, 2) my manuscript chapter on archives, 3) study my site Teaching with Archives and identify some on-line archives that interest you, 4) post an idea on your blog for teaching using archives, 5) the hard-core will enjoy reading Jerome McGann's "The Rationale of Hypertext." We'll discuss the reading and share ideas for the integration of digital archives into English classes. I'll talk a little about Rob Pope's ideas of "textual intervention" and will look at some samples from a my "Literature on the Web" class and from English 1100 blogs. Also a couple of chapters from Literature Circles by Harvey Daniels. Will Richardson's book, chapters 1-3, and some reading on composition theory/pedagogy, study of a number of blogs, special guest -- Dr. Rob Rozema. 1) Read Tim O'Reilly's What is Web 2.0 and compare with The Machine is Us/ing Us. 2) Read Richardson, Chapter 5, Wikipedia on RSS, and "The Technology of Reading and Writing." 3) Set up an RSS account at Google Reader, create feeds for all the blogs in this class, adn for three other types of sources, including news media websites and Goold website searches. 4) Set up an RSS feed on your blog or website. Study a number of different Wikis including Wikipedia and wikis available at Wikia.com. Wikipedia School and University Projects, and at student crated wikis, such as High School On-Line Writing, Holocaust Wiki Project. Read Richardson, Chapter 4, "Pedagogical Potential of Wikis"
Look at a wiki I am working on: EnglishJob.wikispaces.com. Create a wiki that could be or will be used for a class you are teaching. First go to WikiSpaces.com/teacher. (This page allows teachers to create free, no-ad, wikis on this site (If on a MAC use Firefox.). Think about what kind of wiki you want, "public," "protected," or "private." 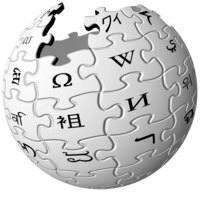 Give your wiki a name, and a number of pages, depending on your intended use. Consider how you can use features of the site, such as "Navigation," "History," and "Discussion." Post on your blog the url of you wiki. Visit three classmate's wikis and write on one of their pages. Develop some questions about wikis to bring to class. 1. Read about using on-line discussion. Allen Webb's article Threaded Discussion, John Sueler's Discussion Board, Taking Discussion on Line at Dartmouth's Web Teaching. 2, Learn about Literature Circles, at places like LiteratureCircles.com, Nancy Patterson's Reading and Literature Lessons, and Saskatchewan's What are Literature Circles? 3. Look at several including, Blackboard, Nicenet, Yahoo Groups, and resources on ThinkofIt.com and set up one for a course you teach or might teach. Read Richardson, Chapter 8, 9, and Epilogue. Create a podcast to share with the class. 1. Information on James Gee's visit to WMU. Read: "Video Games and Embodiment," and look into James Gee's recent books on video games and learning. 2. Study Virtual Realities: Literary Worlds, Second Life. 3. What virtual world would you like to create to support literary study? 1. Based on your examination of Literary Worlds, develop a one-page concept for a virtual world for studying a literary work or works. You can develop a role play or a museum space. You may want to include virtual characters, bots, objects, etc. Create at least four rooms, including images. 2. Visit Second Life, create an avatar, and explore some dimensions of the space. Think about how Second Life might be used as a resource for teaching English. 3. Check out this video from Second Life. 2. Develop a plan for a virtual story you would like to create and gather images and sound files. CI 401 Technology-Based Educational Reform, Kenneth Travers at University of Illinois. 3.On-line Lesson Plan sites such as Outta Ray's Head, the Discovery School, Web English Teacher, New York Times Lesson Plan Archive, Cyberguides, Lesson Plans Page, ERIC, NCTE's Notes Plus (subscribers only), Lesson Planz.com, Educator's Reference Desk, Encarta, etc. 4. Ezines. You could start with the and look at Amanda Warren's Ezine suggestions. But also be sure to examine some of the most innovative such as bornmagazine and Alt-X. Or ezines related to our course such as Kairos, Look at resources to develop ezines, such as Zinebook.